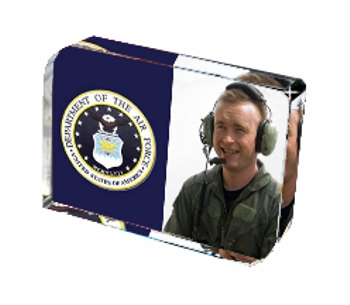 Air Force Crystal is personalized with the subject's name, dates, and branch. Logos are in full color - NAVY, GOLD, RED, WHITE. Photo in Color.